As a commercial real estate agent, you’ve probably heard a lot about “targeting your market” and may have been asked to attend expensive seminars to learn more on the subject. Marketers like to use industry jargon and scientific terms to try to confuse you in an attempt to make it sound complicated. Skip the seminar; I’m going to teach you all about this subject for free! 1) What is a Target Market? Your “target market” is simply the people you want to sell to. “Everyone” is not a good answer. In fact, I challenge you to sell your services to everyone. Go ahead and see if a 9-year old will pay your commission. Will a college freshman have the resources to invest in an office building? Sorry, you can’t sell to everyone. 2) Who is my Target Market? This depends on what kind of business you want to run. Hopefully, you’ve already chosen a specialty. If not, get to deciding! 3) Where is my Target Market? Most agents choose to target only the people in their immediate area. Meaning they’ll advertise to people within a 1-5 mile radius of their office’s location. This significantly cuts down on drive time and travel expenses. If that market is tapped out (someone else already has that strategy) then you may want to focus on an area you like. Whether you focus on lakeside views, downtown, a particular master planned community, or even general areas like “Southwest,” a regional specialty will provide the best return on your advertising investment. 4) Why should I stick with my Target Market? Ideally, your target market is who you want to work with, so why would you stray? However, just because you’re advertising to a certain market it doesn’t mean you should turn down customers outside of your target. Make money where you can, but advertise to the people you want to work with. 5) How do I sell services to my Target Market? Get a mailing list from Reonomy. 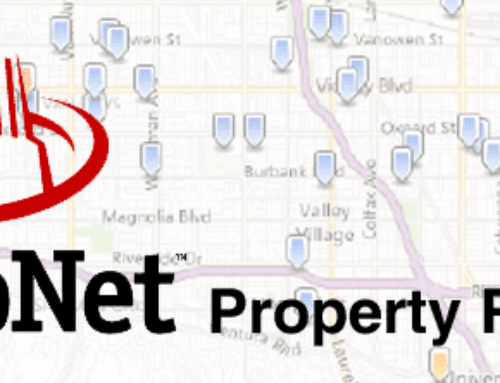 You can search properties around you and gather lists of tenants and property owners in your area. This is valuable information! Now you know who to sell to, where they are located, and you can now contact these people. Directly through VistaPrint, you can send these contacts a postcard or send them a form letter with your corporate brochure.